I appreciate that some of you would prefer that I detail the when-which-how practice and provide all of the sixty-three combinations and which ones are appropriate for each situation. But the practice requires that every individual make these assessments in their self-luminous journey. Thus, the path is, by its nature of appreciating your individuality, not formulaic. Regardless of who you are, were or want to be, you are first and foremost a spiritual being composed of an energetic field that expresses the degree of your emotional mastery or lack thereof. Beneath this energetic field may await talents of healing, telepathy, potent intuitive insight, artistic genius, or influential teachings, but what I’m suggesting is that these talents are secondary abilities to the primary gifts of expression from your inmost spiritual selfhood. These are precisely what the six heart virtues and living from the heart unlock and release, not only into your IHEF, but also into the CHEF, and this constitutes your highest purpose within the worlds of time-space. You can choose to undertake this path as an agnostic, Christian, Muslim, Jew or any other religious affiliation. It does not matter to whom or whether you give your faith and loyalty. The important thing is that you understand your purpose as a spiritual being and never lose sight of this purpose even in the midst of turmoil and the certainty of life’s challenges. We read and hear a lot about sustainability in the context of ecology; even some businesses have adopted the term to imply that their strategies are “green.” People are increasingly sensitive to the impact their carbon footprint has on the environment, and the notion of treading softly on the ecosystem is gaining ground with the general populations of earth. As this paper suggests, we also have an emotional or energetic “footprint” that we leave upon the ecology of the human spirit and the planet at large. So much has been written in various religious and New Age texts that the earth will undergo cataclysmic changes or perhaps even an apocalypse, after which, we will enjoy the return of the Christ Consciousness, the Golden Age of humanity will reign, and the righteous will be caught up into the heavens. While there may be some degree of truth in these visions, I’m proposing that the “avalanche is about to roll” outlook only evokes interest—sometimes obsession—and mostly it is fear-based. 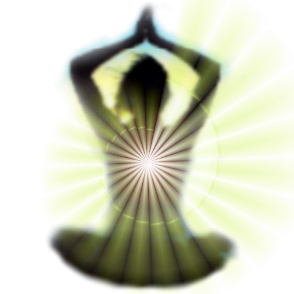 We need to activate our emotional self-mastery so we become self-luminous beings within the time-space dimensions. It is not fulfilling to have an interest in the avalanche or the impending shift of humanity; our fulfillment and meaning comes from our practice of the six heart virtues. As historian Will Durant observed, in the last 3,421 years of recorded history only 268 have seen no war. If humanity is to add to the “no war” column, it will require a new belief system that is energetically supported by the six heart virtues. It will require individuals like you to develop emotional self-mastery as the priority self-improvement goal. Just as like attracts like, like informs like, and like transforms like. Thus, the transmission of our IHEF informs others who are similar to us, and as our numbers grow, the long-heralded shift will be the result. 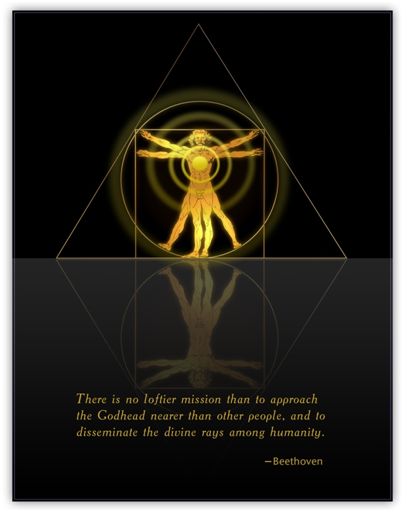 Humanity moves increasingly towards the irrefutable, scientific discovery of the human soul and the lattice grid of energetic interconnection upon which it moves and has its being. It does this not because of the hand of God or some Designing Force that corrals the human species into the higher dimensions, but rather through the human spirit expressing itself within the human realm of time-space. In other words, it’s an inside job—one human at a time. It is not an infrequent position on the part of those who prefer the path of surrender to ask: “Why swim upstream? God will show the way and provide the path. Everything is taken care of, why struggle to gain mastery over your emotions? In the end, we will be redeemed.” This is a deep-seated and prevailing construct of humanity that higher forces ultimately configured the universe and still control its functioning and outputs, that creation is tethered to the One that is All, and regardless of your name for this Higher Force, it ultimately offers up a Savior for humanity—whether that savior is terrestrial, heaven-sent or extraterrestrial. The evidence of human evolution shows that saviors come and go amid the primal actions of humankind that function in indifference to their message. We are all connected, yet we war. We are all connected, yet we steal. We are all connected, yet we hoard and over-consume. We are all connected, yet we turn away from the suffering of others. The insensitivity to our connection is a veil that is steadily becoming more transparent, and this is the vital agent of change, but it will not occur in a blinding flash of time or an instant of recognition. Rather, it is the result of a deliberate and persistent practice of the six heart virtues from an ever-widening base of humanity. We are collectively engineering this, some more consciously than others, which is the only notable distinction between us. The “temple” is being built in which all of humanity can enter and see one another as they truly are. This temple is neither of earth nor the heavens. It is not owned by anyone nor is anyone excluded. Within this temple we are not emotionless beings, quite the contrary, we are energetically potent with vibrant emotions and they are expressed with care and they are rooted in the virtues of the heart. This is the temple we are here to build. Be patient, for it is an endeavor long in the making. Yet it is certain to occur, not because we will be “saved,” but because enough humans chose to live from their hearts, to practice the six heart virtues and become conscious of their energetic contributions (IHEF) to the whole of life. One final comment, the journey is rewarding, but also difficult as you will be challenged to shift quickly, adjust your attitudes, refresh your perspective, and own your mistakes and vulnerabilities. The six heart virtues are meant to be expressed not only to others but also your human self. Bear this in mind as you progress. All the heart virtues apply equally to others and yourself. You can appreciate a stranger’s kindness and in the next instant forgive your judgment of them. It is precisely because of our imperfections, that the six heart virtues have their meaning.